T he Flixton Conservative Club in Manchester has won the prestigious CAMRA Club of the Year award after a recent transformation has seen an even wider range of real ales and ciders brought in. On top of a friendly atmosphere and good beer selection, the well maintained club runs a number of social events for the local community including brewery nights, quiz events and sports teams including snooker. There is even a walking group and a popular chess club that meets once a week in the club’s function room. Regular entertainment takes place over the weekend with music, bingo and Open the Box with the chance to win up to £1,000. The club previously won the local CAMRA Club of the Year award but this is the first time it has made it through to the national round. It will be presented with a plaque to commemorate the award at an event open to the media on the 28th February 2018 at 6pm. Nigel Porter at Flixton Conservative Club says: “This is really fantastic news, we are absolutely thrilled to be named CAMRA National Club of the Year especially given the very high standard of the other clubs in the final four. There are a lot of excellent Clubs out there doing a great job so to be judged as the best in the country is just an immense privilege and we would like to thank both CAMRA and Club Mirror for this honour. “This really is a total team effort. The Club is very fortunate in having a very supportive committee, really friendly and knowledgeable bar staff and a great bunch of members who just show so much enthusiasm for everything we do. 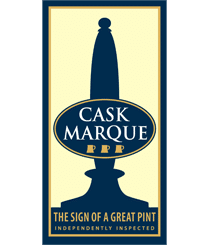 The quality of our real ale has been paramount to the success of the Club and a great deal of the credit for that needs to go to all of the terrific brewers who supply us and support us in so many ways. The CAMRA Club of the Year competition is run in conjunction with Club Mirror magazine, with the simple aim of finding the clubs with the greatest commitment to quality real ale – those which offer a fantastic atmosphere, welcoming surroundings and most importantly, top quality real ale served in great condition. All nominated clubs in the competition are independently assessed by a panel of CAMRA volunteers throughout the year. Runners-up in the competition include two Royal Air Force Association (RAFA) clubs – the Albatross Club in Bexhill-on-Sea and the Real Ale Farm in Bargoed, Wales – as well as the Appleton Thorn Village Hall in Warrington, which all boast a wide range of well-kept, fantastic real ales. The club will be presented with its plaque at an event immediately following the national Pub of the Year presentation, which is taking place at the neighbouring Cricketers Arms in St Helens at 1pm.